Your concrete driveway adds an elegant and stunning look to any home – but only if you give it the maintenance it needs. Washing, sweeping away debris, and removing stains are all essential to keeping a fresh look. Sealing is another option for protecting your concrete driveway. Is this extra step necessary for preserving your concrete? GW Brockelbank Concrete Contractors has some advice that might help you decide. What does it mean to seal a concrete driveway? The process of sealing involves applying a protective coat over your concrete. The coating guards your concrete against damage from oil drips, standing water, and other substances. The coating helps your concrete maintain its like-new integrity for longer than if it’s not coated. Should you seal your driveway? 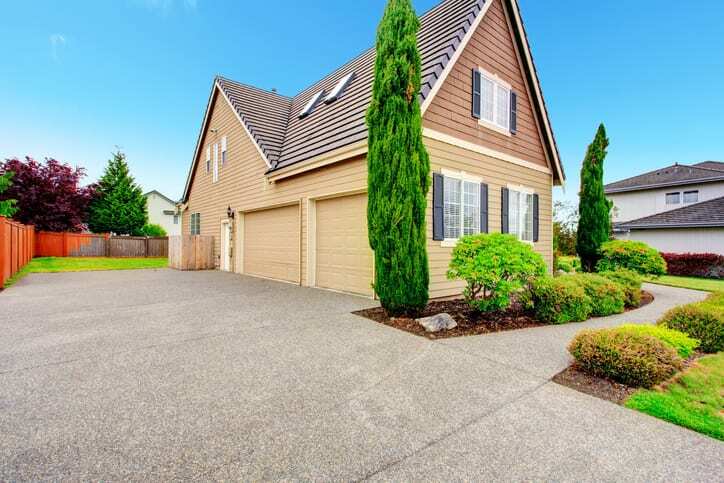 Concrete contractors recommend sealing your concrete to get the most life out of your driveway. Not only will it protect its structural integrity, it will look cleaner and newer, too. It may be even more important if you have decorative or stamped concrete outdoors. Take the best possible care of your driveway by getting it sealed. Looking for more advice on how to care for your concrete driveway? Call GW Brockelbank Concrete Contractors and let our professionals help you!